Do you know what your social media agency is doing on your behalf? Or are you thinking about buying in a social media campaign for your business? If so you may want to pause for thought, or you could find yourself on the wrong side of the law. Last week Channel 4's Dispatches revealed how Facebook and Twitter are being manipulated and undermined. The reporter Chris Atkins went undercover to find out how fake follows and likes are being bought by the bucket load. To demonstrate he put together a fake boy band and called them "Wrong Direction". They make a YouTube video, they aren't very good, they have 1 follower: Chris Atkins. To boost their profile he goes to the website buyfanstoday.com whose buyline is "Become a Social Media Superstar". 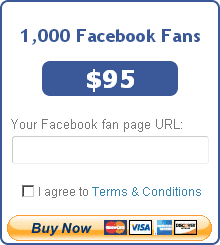 On this site you can buy Facebook fans, Twitter followers, YouTube views, Google +1's, Android App reviews... the list goes on across all the social media sites. And he buys 100,000 YouTube views. 6,000 facebook likes and 40,000 Twitter followers! It turns out that a lot of these companies are based in Bangladesh and Atkins goes there to investigate. Using hidden cameras he films them. He visits an office where he is shown a back room click farm where there are half a dozen people repeatedly logging in and out of Facebook and Twitter with fake id's. One person tells him he has 1000 id's and the company claim they have 15,000. Why should we be worried about this? Because if you are looking at a product or service, and you try and judge it by reading reviews, or looking at followers or likes then you could be being misled. It undermines the value of social media. And if you are a business that has employed these methods you could potentially be breaking the law by misleading people. Atkins also visits Shareyt.com who rather than have a backroom team have a web based team who sign up to be fake clickers. They earn $0.001 for each of their clicks. He signs up to Shareyt.com to become a clicker and that way discovers some of their clients. One of the clients is a Coca Cola ad which has 6 million views. He also meets Ali Asgar the "King of Facebook" at Creative IT. Creative IT show him computer programs they use to generate fake Facebook accounts in huge quantities. Asgar shows Atkins a list of his clients, it includes Visit Peak District, which has 30,220 views. "Everything about communications is reliant on there being a contract of trust and social media is no different, it's a communications channel so people need to know that when they are hearing from brands, or hearing from celebrities on these channels, that it will be an honest communication "
It turns out that a social media agency in Sheffield SM4B set up the campaign for Visit Peak District. Atkins goes and visits John Hall the manager of SM4B. Hall boasts about how he can create an audience almost instantly: "I can get a whopping great audience in no time"
He claims he does this by using his business directory, and 3.5 million users looking at his sites, he doesn't mention his relationship with Creative IT. But he does demonstrate logging in to Facebook with a false female id, "I can be anyone you want me to be - we've got about 300 fake profiles" he boasts; then demonstrates pretending to be a customer to prompt on-line conversation. "Potentially a number of laws are being broken, consumer protection and unfair trading regulations, because it's effectively misleading the individual consumers"
"As a matter of course, we undertook a reasonable due diligence exercise as far as our resources allowed, and did not find anything to suggest that the company was engaging in unlawful or inappropriate practices." "Many brands outsource their marketing to agencies. They say they don't know anything, they weren't handling it. The problem is they can't claim ignorance for somebody they hired. So it is important that marketing leaders really recognise and communicate with their agencies that this is an unacceptable practice"
The programme goes on to look in some depths at how some social media agencies are using celebrities to tweet about their clients' products or services. The problem is the celebrities aren't disclosing that they are getting paid for these tweets. That is against the Advertising Standards Authority rules, and "it is the brands who will be held" accountable. Do you use any third parties to generate false likes/followers/tweets? Do you follow Advertising Standards rules? Because if you don't you could find yourself on the receiving end of some unwelcome attention. What do you think? Maybe you would never get caught, and it would be worth it for the extra business it would bring in.